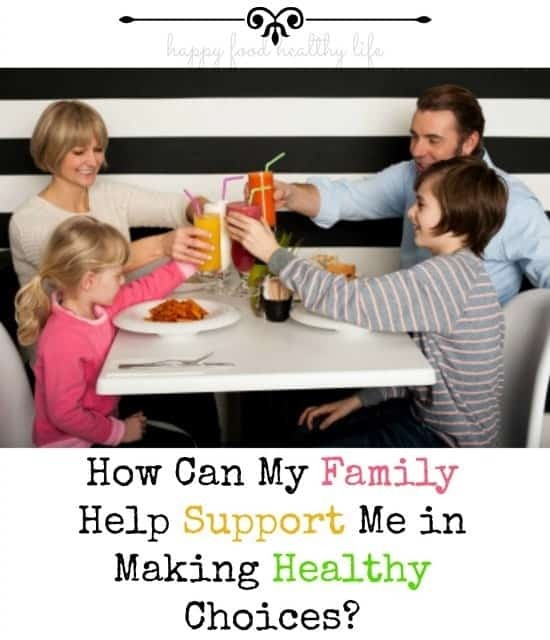 How Can My Family Support Me In Making Healthy Choices? Get healthy. Eat better. Become more active. Improve your fitness level. We are hearing things like this all the time from all different directions, so it’s no surprise that one of the most common resolutions and goals is related to live a healthy lifestyle. So let’s say you’ve set that goal. You’ve decided to make healthy choices. You make your meal plans and grocery list. You have a workout routine all planned out. You even bought some cute new exercise outfits to really get you motivated. It’s a done deal. You are doing this! Do you have someone in your life who just doesn’t seem to want to support you in your new venture to get healthy? Maybe they bug you about the time you spend at the gym. Or they try to convince you that it’s ok to have “just one” bite of that cake that you truly don’t want. Or maybe they tell you that you don’t nee to lose weight and that you are perfect as you are. Yeah, I know. It’s a bit harsh, but it’s very true. So how do we talk to our loved ones about supporting us in our health goals? Yup, good old communication. Before you even start making healthy changes (if you haven’t already), talk to your significant others. Tell them your goals and why they are important and necessary to you. This is important. Once you tell your family member that you are scared that your health will go in the same direction as your mother’s, who passed away at a young age due to obesity and diabetes, that will really strike a chord with them. Whatever your reasoning for wanting to get healthy. Running a marathon is on your bucket list. Heart disease runs in your family. You already feel your body spiraling out of control. Whatever it is. Tell them about it. Once they know your goals and reasons for wanting to get healthy, it’s important to tell them the specific steps you need to take in order to make it happen. Weekly meal plans (with little to no deviation). Cooking at home rather than going out to eat. Limiting sweets. Time at the gym. Let them get an idea of what life is going to look like. It may be a big change for your family, but it’s one that will benefit both you and your entire family in the long run. How can your Family Members get involved? The best way to get your family involved is to ask them to join you in this new venture. Ask them to play outside, come to the gym, go on walks, etc. Ask them to help you cook up a delicious healthy meal. This is a great way for your significant other to feel a part of your new life. But sometimes it’s just not that easy. Sometimes people just don’t have a desire to get healthy, and that’s not something you can push. Sure, you can tell them how much it will benefit them. But you can’t push them. That will only annoy them. Once they start to see how amazing you feel and how much change you are seeing in your life, they just may join you. Until then, all you can ask for is their support. Ask them to help you celebrate your achievements. Ask them to cheer you on at the finish line. As them to let you eat the foods you need to eat without giving you heck about it. I really feel like getting family members on board with any of your life decisions can be difficult at times. 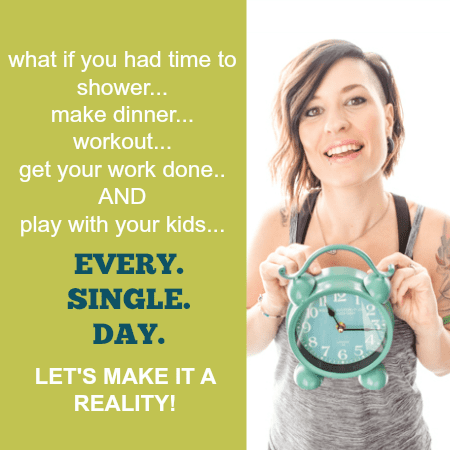 But of all life choices, getting healthy should be one that all your family is excited about. They love you and want you to be around for as long as possible. Remind them of the big picture. Remind them that you know it’s annoying that pizza night doesn’t happen as often as it used to. Maybe make pizza night at home and make a crust-less pizza (I’ve used a Cauliflower crust before) with healthy toppings. There are ways to make everyone happy and still reach your goals. Just remember that your health is number one and to always keep the goal in sight! Are your family members supportive of your healthy lifestyle?